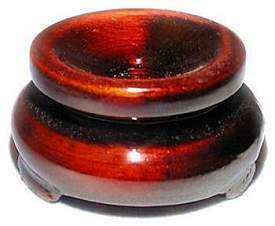 Lovely high gloss Fancy Rosewood finish Oriental wood stands in 3 sizes. 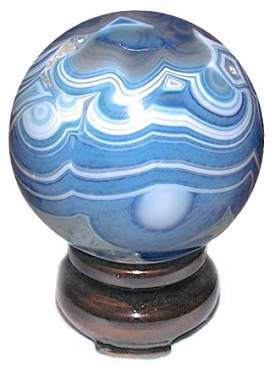 Gives any egg, crystal ball or sphere classic elegance. 1 1/2" W stand holds 40mm to 60mm spheres, 1 7/8" W stand holds 50mm to 80mm spheres and 2 1/3" W stand holds 60mm to 100mm spheres or eggs.